​The NBA All-Stars have been named, and fans now await the decisions of team captains LeBron James and Giannis Antetokounmpo in their fantasy draft for the annual showcase. Then, this week, the young guns participating in the ​Rising Stars Challenge were announced. The Slam Dunk Contest participants have been confirmed, too. So, who's in the 3-Point Contest? The most notable absence of the contest is that of James Harden, who leads the league in made triples by a wide margin (246 to be exact). The next player behind him -- who happens to be in the competition -- is Stephen Curry of the Golden State Warriors (215). After that is Buddy Hield (fourth) and Charlotte's own Kemba Walker (fifth), who will also be participating. But we can't forget about Dirk Nowitzki, who will be making his return to the All-Star event for the sixth time in his career. He won the whole thing back in 2006, and while he has yet to officially announce his intentions to retire following the season, this is expected to be the last time NBA fans see Nowitzki at All-Star Weekend. 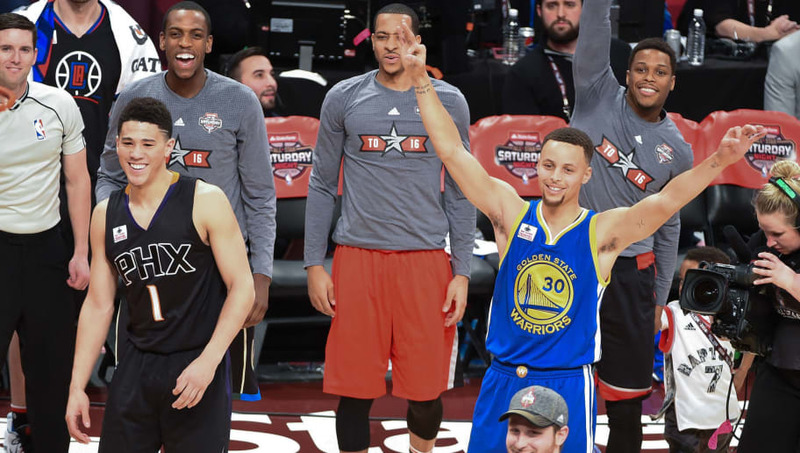 The 3-Point Contest takes place on Saturday, Feb. 16.